Industry is now looking beyond building efficiency and achieving new levels of savings. More and more, we are seeing developers incorporating solar and geothermal resources to provide significant efficiency in multi-family developments, neighborhoods, and communities. How does this align with various utilities and rate structures? If you’re interested in learning more about these community solar and geothermal projects, be sure to attend Wednesday’s session, “Community Strategies for Resource Efficiency,” at the SPEER Summit. Here, we’ll be exploring the design and implementation of neighborhood projects, and a discussion about opportunities and the barriers in the current market. We hope to see you there! Multifamily buildings present unique challenges due to their various occupant types, challenging real estate markets, and segmented energy metering systems. Additionally, many multifamily units are leased, creating a split incentive where the owner is responsible for the building systems and the tenant is responsible for the energy costs. 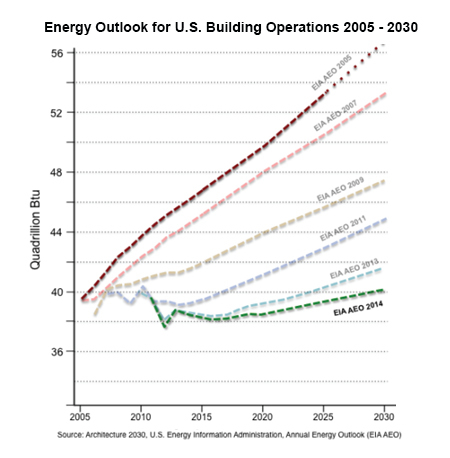 Despite these challenges, substantial energy efficiency savings exist in this market. Innovative and radical ideas are needed. They include a shift back to “all bills paid” leases, energy consumption disclosure agreements for tenants to release their energy data to building owners, long term financing for efficiency projects, and many others. We’ll be convening leaders in the multifamily industry for a great session on this topic at the SPEER Summit. Join us, and hear about the latest innovative strategies that are being developed to tackle efficiency in this sector. Register for the SPEER Summit today! We are pleased to announce that Mike Gordon, CEO of Joule Assets, will be delivering a keynote address at this year’s SPEER Summit. 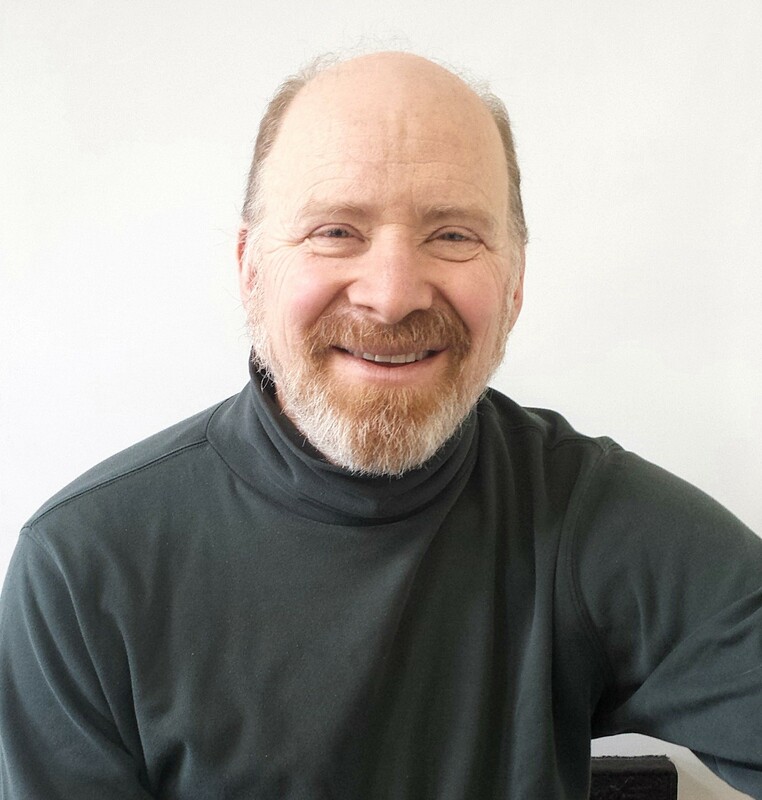 Mike has a long history as an innovator in the energy efficiency and demand response industry. He founded ConsumerPowerline in 2000, generally recognized as the United States’ first demand response aggregator. Mike also negotiated groundbreaking collective buying contracts for consumers in Washington DC, Maryland, New Jersey, and Massachusetts. These programs have now expanded to a major portion of the Eastern residential market, saving consumers hundreds of millions of dollars each year. In addition to his keynote address at the SPEER Summit, Mike will also help lead the breakout session, Financing Commercial Retrofits, where participants will discuss various energy efficiency financing mechanisms that have been developed to avoid competing with capital or operational budgets. Mike will help show how, by understanding and creatively incorporating the potential benefits of efficiency projects, building owners can make financing more feasible and attractive. Dynamic sessions like this and others are only 5 weeks away! Register for the SPEER Summit today! Start your day the Austin way–with a breakfast taco. If you want to do it right, head over to Torchy’s Tacos, which was voted best taco in Austin. Go for an early swim at Barton Springs Pool. This three-acre, natural spring-fed pool is one of Austin’s most beloved spots. Beginning at 5am every morning, swimmers of all ages and abilities take to the 68-degree water, swim laps, and watch the sun rise over the city. Witness North America’s largest bat colony.750,000 female bats live underneath the Congress Avenue bridge, just steps from the hotel. Every night around dusk, Austinites gather on the bridge or in boats to watch the awe-inspiring spectacle of the bats taking flight. Take in some live music. Austin is the live music capital of the world, for good reason. The Austin Chronicle’s music calendar is a good place to start, or you can simply follow your ears to a great show any night of the week. Get a tattoo. You’ll fit right in! We suggest one that says “I <heart> Energy Efficiency” so you can write it off as a business expense. The great news is that this year’s SPEER Summit will be held at the Hyatt Regency in downtown Austin, which means that you’ll be only steps away from great food, live music, natural wonders, and many fine tattoo parlors. Learn more about what will be happening inside the Summit with our latest agenda, list of speakers, and session descriptions! We look forward to seeing you there! New keynote speaker announced for SPEER Summit! 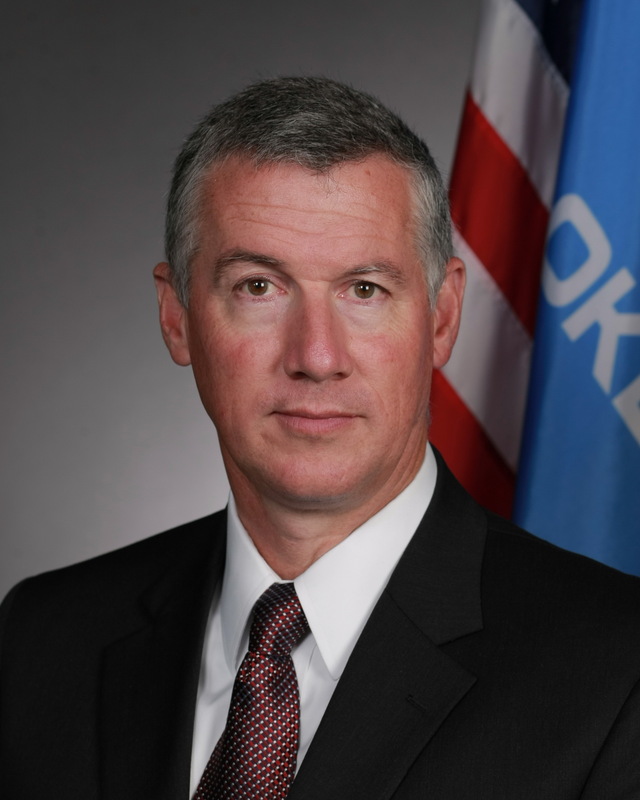 We’re pleased to announce that Secretary Michael J. Teague, Oklahoma Secretary for Energy & Environment, will be delivering a keynote address at this year’s SPEER Summit. Secretary Teague is the first person in Oklahoma to hold the position of Secretary for Energy & Environment. 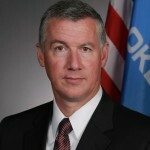 Prior to his appointment, Teague served in the US Army for 30 years, where he was commander for the Tulsa District of the U.S. Army Corps of Engineers. Throughout his career, Teague has dealt with power generation and distribution, water desalinization, and environmental impact studies. He has facilitated and negotiated numerous solutions regarding federal and state agencies, tribes, and local stakeholders and has acted as a liaison between the Tulsa District and the United States Congress. Secretary Teague will be delivering remarks during lunch on the second day of the summit. See a full list of sessions, topics, and speakers. The Clean Power Plan rule is final. Texas leads the nation in carbon emissions but has a major opportunity to reduce emissions through increases in clean energy, as does Oklahoma. Given the lack of forums and public engagement in the region thus far, the SPEER Summit is the event to attend to discuss a Clean Power Plan action agenda and figure out what industry and advocates can do to make sure energy efficiency is part of states’ compliance efforts. Energy efficiency can be used by states for meeting Clean Power Plan goals and it could be the most cost-effective strategy for compliance available to states–if they’ll use it. Last week, SPEER submitted comments, along with many other organizations, on how energy efficiency can contribute to compliance. Will Texas and Oklahoma use energy efficiency and if so, how? How large is the opportunity for the energy efficiency industry if they do, and how much could consumers stand to gain? Low income energy efficiency programs can receive double credits. What does this mean for businesses serving customers in low income areas? In order to get an extension or have a plan approved, states must engage a variety of stakeholders but so far this hasn’t happened in many states. Can organizations like SPEER play a role in organizing forums for stakeholder engagement? Efficiency can help with states’ compliance and provide increased opportunities to the industry. Now it’s time to make sure it does. Register now for the 2016 SPEER Summit! How will we use smart meter data in the future? Data is used by businesses in nearly every field to drive decision-making and efficiency: Energy usage is no different. Texas and Oklahoma have nearly universal smart meter deployment but it’s still early for usage of energy data to drive utility programs, customer behavior, efficiency retrofits, and demand response. Data from smart meters provide massive opportunities for consumers and the companies who serve them, but challenges remain. How can we make energy data access easier and safer? With a session on energy data, another on demand response and distributed energy resources, and a plenary panel on metered efficiency savings, the SPEER Summit will be a great place to explore these issues. For background, check out SPEER’s Update on Smart Energy in Texas, and our Smart Energy Roadmap for Texas. We’re working on the next iteration of the Roadmap that will show decision-makers how customer and third party access to energy data can be seamless and secure using third party led processes. Come learn, network, and help find solutions to propel energy efficiency by leveraging smart meter data. Register for the 2016 SPEER Summit! We’ll be sending out list which organizations will be attending the SPEER Summit, so you’ll have an idea of who will be there. Do some research on them beforehand. Then, when you meet someone from that organization, you can approach them with valuable ideas and thoughts, which will make more of an impact than small talk. If you know you really want to meet someone, don’t leave it to chance. Contact them beforehand to ask if they’d like to join you during one of the coffee breaks. Most people will be willing to make that 10-minute commitment, and that’s all the time you need to make an introduction and establish a connection. Dinners are not planned as part of the SPEER Summit, so you can use the evenings as an opportunity to build relationships. Research good restaurants and make a reservation for about 8 people. Start with 3 or 4 people you already know and then invite others as you meet them throughout the conference. Instead of competing with other audience members to talk to speakers after a session, introduce yourself to them before they go on. You can talk about why you’re interested in the topic and wish them luck. They’ll be more likely to remember you if they run into you later. With several hundred attendees and two days of sessions, lunches, and breaks, the upcoming SPEER Summit will give you lots of opportunities to try out these new skills. We look forward to seeing you there! 52% of firms feel successful in achieving their resource management goals this year, up from 42% in 2014. This is great news, but there is still more work to be done. At this year’s SPEER summit, we’ll be developing more strategies to capitalize on these trends and keep them going in Texas and Oklahoma. Join us and be part of these important discussions! When we formed SPEER in 2011, we knew energy efficiency deserved more focus in Texas and Oklahoma, and we knew what we wanted to accomplish. But we also knew that we’d need your help to get there. That’s why we invited you and other leaders in energy efficiency to come and give us input at our First Annual Summit. We talked about 2030 Districts with Ed Mazria as one of our keynotes. Now we’ve established Districts in Dallas and San Antonio, with more to come. We were told that energy code compliance held massive opportunity for efficiency. So we focused on it, and this year, Texas was named most-improved state by ACEEE, mostly due to improvements in codes. We learned that building operators were badly in need of training. We’ve completed six BOC courses and have eight more slated for 2016. These are just a few examples. The best ideas come through collaboration. The SPEER Summit has the ability to generate and advance great ideas, with the right people there to see them through. Now, in our fourth year, we’ll be coming together to discuss progress in these areas and other big ideas like PACE and WHEEL financing, efficiency and the Clean Power Plan, City Efficiency Leadership Council and local government leadership, and smart meters to measure savings. Alone, we can only do so much. But when we work together, great things can happen. Join us at this year’s SPEER Summit, and be part of the next wave of big ideas to advance energy efficiency. What is happening in Texas cities? Cities are where many energy efficiency initiatives begin in Texas. This is why SPEER worked in coordination with Houston Advanced Research Center and the State Energy Conservation Office to create the City Efficiency Leadership Council. Since 2013, this council has been made up of representatives from the state’s largest cities, and today we are expanding this effort to include many smaller and mid-size cities. Since its inception the council has worked together to share ideas and coordinate their efforts, with many accomplishments among them are a collection of 10 Best Practice Case Studies, featuring initiatives such as LED streetlights, third-party code inspections, energy management planning and a revolving loan fund. At the 2016 Summit we will be discussing the council’s 10 Best Practices—along with other topics such as building codes, PACE districts, energy management planning, and public building retrofits. If you work for a local government, you won’t want to miss out on this event. If you do not work for a local government it is still beneficial to know what to expect from Texas’ cities over the coming years. This is just one of the many topics that we’ll be discussing at the 2016 SPEER Summit. Reserve your spot today to take advantage of early-bird pricing. We hope to see you there! 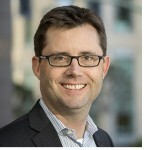 SPEER Announces Cisco DeVries as Keynote Speaker at Annual Summit March 29-30 in Austin! When we asked SPEER members what topics they most wanted featured at the 2016 SPEER Summit, financing was at the top of the list. 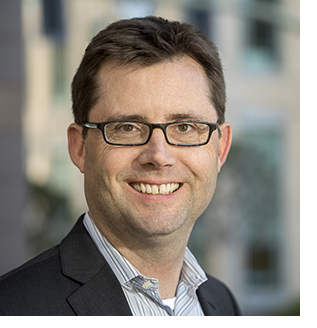 That’s why we’re especially pleased to announce Cisco DeVries as a keynote speaker for this year’s SPEER Summits. Cisco is the architect of the first-ever Property Assessed Clean Energy (PACE) program in the United States, which allows property owners to pay for energy efficiency and renewable energy projects as a line item on their property tax bill. Cisco is the CEO of Renew Financial LLC, a finance company specializing in energy efficiency and renewable energy projects for residential and commercial properties. The firm is providing more than $500 million in capital through the CaliforniaFIRST Property Assessed Clean Energy (PACE) program and the Warehouse of Energy Efficiency Loan (WHEEL) program now offered in multiple states. Earlier in his career, Cisco led the initial development of the first PACE program and served as an aide to the U.S. Secretary of Transportation and the U.S. Secretary of Energy. Cisco will be kicking off an action-packed Summit here in Austin. Mark your calendar for March 29-30 and register now to take advantage of early-bird pricing. Stay tuned for additional announcements on topics and speakers in coming months.